Developing effective sales messaging is about more than just being able to spit out two sentences on what you want someone to buy. 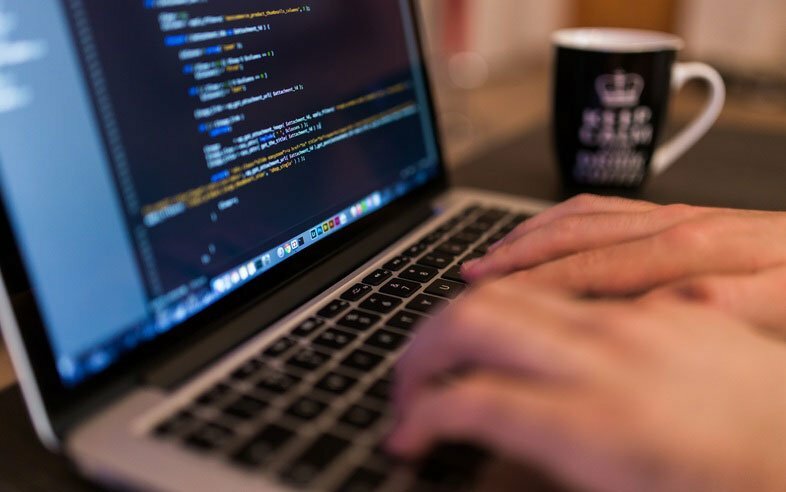 It encompasses knowledge about the customer, an expertise in what you sell and the ability to translate these facts into phone calls and emails that your prospects are actually excited about. When doing outbound lead generation, powerful messaging is your best asset to get the attention you want and the impact you need. 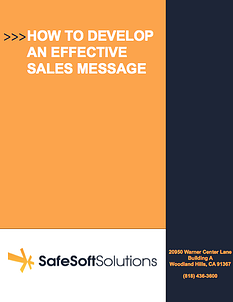 The How to Develop an Effective Sales Message workbook will help you build this messaging for your product or service from the ground up. Your ability to convey a clear, powerful message within the first 20 seconds of contact will have more impact than any other action you take. Using this workbook, you can improve your outreach efforts and get more return on the time you invest in each customer. Powerful sales messages are clear, concise, and most importantly, about the customer. They incite action because they create a sense of urgency for your prospects. It challenges the way they normally think or the way they would normally react to a proposal like yours. Understanding your customer means you can see the world through their eyes, and the more you consider that when developing messaging, the better your chances of a successful close with a new customer. Have you ever been on the phone with customer service and stumped them when you asked a question about their product or policy? How embarrassing! It’s up to you as a sales rep to be knowledgable about your products and services, so you should be able to describe what it is you sell and why it’s important, on command. In an exercise in the workbook, you’ll imagine like you’re meeting someone at a cocktail party, and you’ll need to describe your offering, why someone would buy that offering from you, and what makes your product or service special or unique. As much as knowing the basics about what you sell is fundamental to your success as a sales rep, so is knowing your potential customer. Understanding them as the purchaser of your product is key to being able to spin up effective sales messaging on-demand. When creating your sample customer profile, think about these questions: What is their demographic? What kind of job do they have? Where do they go for information? Where are they located? These questions and more are key to developing a profile that you can work off of when developing effective messaging. Often, it takes more than an initial phone call to really diagnose all the issues a customer needs solved by your product or service. There’s a huge difference between listening to your customer and understanding what they really need from you. Being able to really “hear” the customer is one of the most important skills a sales rep can develop in their career. To better listen and understand customers, you must know where they are coming from -- and the easiest place to start is with their worries or concerns. In the workbook, this exercise is called “The 2 a.m. issues.” We’ve all been there - lying awake in the middle of the night, worried about something. The best sales reps know what keeps their customers up at night. Being able to combat the 2 a.m. issues is easy when you understand what problem(s) you solve with your product or service. For example, screen-sharing solutions offer exactly what you think: the ability to share your computer screen with someone else, or vice-versa. But each solution has different features or functionality that speak to concerns like privacy or uptime. What problems does your product or service solve? Finding your effective value proposition means finding that compelling problem that you solve, and it’s imperative to be able to communicate that to prospects. Now that you’re armed and ready with deep knowledge about your customer, an elevator pitch, and the compelling problems you solve that your prospects care about, you have to be able to see the other side of the argument to tell a potential customer what will happen if they don’t choose your solution. This is called “The So What? Conversation ™”, and you should expect it every time you’re getting close to closing a deal. In part of this section, you’ll consider and write down the consequences of what would happen to a prospect if they went another way. It’s important to have this information at the ready if they mention a competitor or start to waver in their decision-making. At the end of this workbook, you’ll write your elevator speech, which demonstrates your understanding and alignment with a potential customer. When starting conversations with prospects, your elevator speech will be key because it includes a very important aspect of the relationship you are about to enter into: the promise you are making to the potential customer. Prospects want to know what to expect from you in a clear, concise manner. Using no more than 15 seconds and three sentences, you should be able to tell a prospect what you do and why it matters. Nailing this and the elevator speech will put you on the path to success with future business. In a time where competition is fierce and disruption is the norm, sales reps can’t afford to be vague or unclear in their messages about their products or services to potential customers. The How to Develop an Effective Sales Message workbook will help you discover the core of what you do and why it matters, and how to translate that to your prospects in an effective way.